MOLLOY Very Reverend Frank PP (Ardara, Co Donegal) April 12, 2019 (peacefully), at Letterkenny University Hospital. Beloved brother of Con, cherished uncle. Sadly missed by his former Parishioners (St Paul's Parish, Lurgan, Co Armagh), family and friends. His remains will be reposing at Shovlin's Funeral Home, Sandfield, Ardara on Saturday from 3.00pm to 6.30pm with removal to the Church of the Holy Family, Ardara, arriving at 7.15pm. Funeral Mass Sunday at 2.00pm with interment in the adjoining cemetery afterwards. 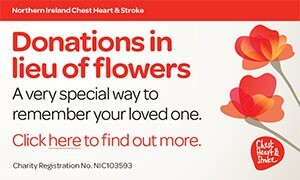 Family flowers only please and donations in lieu to the Friends of Letterkenny Hospital. I am sorry to tell you that Very Reverend Frank MOLLOY PP has passed away.